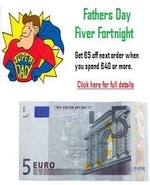 As one or Ireland’s leading online providers of great Fathers Day gift ideas we are delighted to announce that you can get 5 Euro off an order placed between now and Fathers Day (June 21st 2015) when you spend 40 Euro or more on a transaction. To avail of this offer all you got to do is insert the discount code Father5 at checkout when ordering online and 5 Euro will automatically be substracted from the total amount due. You can also avail of this offer when placing your order over the phone. Simply call us in Co Kerry on 066 71 36486 and quote the code (Father5) and we will process your discounted order over the phone. Please note this code can only be used once per customer during the offer period. Also note whilst this code may work for orders under €40 when processed online we reserve the right to cancel the transactions that fail to met the terms of this offer. In other words don’t bother trying to get a 5 euro discount on small orders as we will just contact you to let you know that we are issuing a refund or give you the option of paying an extra 5 euro to get your order. 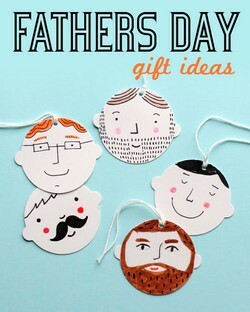 Here are some other links which might help you come to a decision on your Fathers Day gift this year.